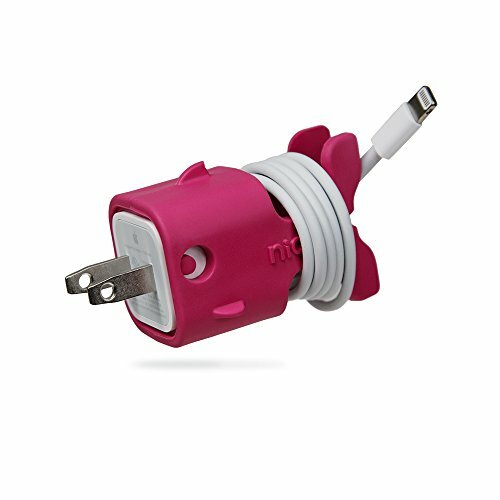 CableKeeps give your dull white Apple charger some personality and added utility. They secure your docking cable to Apple power adaptors used with iPads, iPhones, & iPods so cable & charger stay together. The intuitive design will keep your cables tangle free when shoved in a bag, pocket, or purse and can shorten and organize when plugged into the wall. Goldie features a second function as a charging pedestal for iPhones & iPods so your mobile device is off the floor or counter!